best prices in the south! 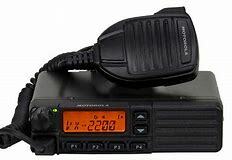 VHF model or UHF model My price includes programmed on your frequencies and private line tones. Frequency reprogramming at any time, for life of radio, free! You just pay shipping. Also after the sale my service does not stop. Please feel free to call or email for any type of info on MOTOROLA RADIOS, even if you didn't buy it from me. Email ME for your FREE PDF file owners manual, see if this is the radio you need. ANYONE, ANYWHERE can check on my USED equipment and line of portable batteries.